This Manitoba Nightstand has a total of four drawers one of them is hidden at the top. 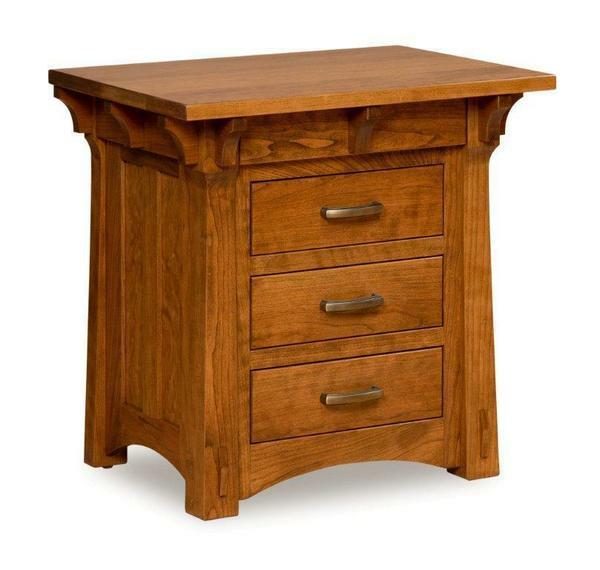 This Mission nightstand is shown in quarter sawn white oak wood and cherry wood. Please call to receive finish samples for this Manitoba Mission Nightstand. You also have the choice of the height for this Mission nightstand.